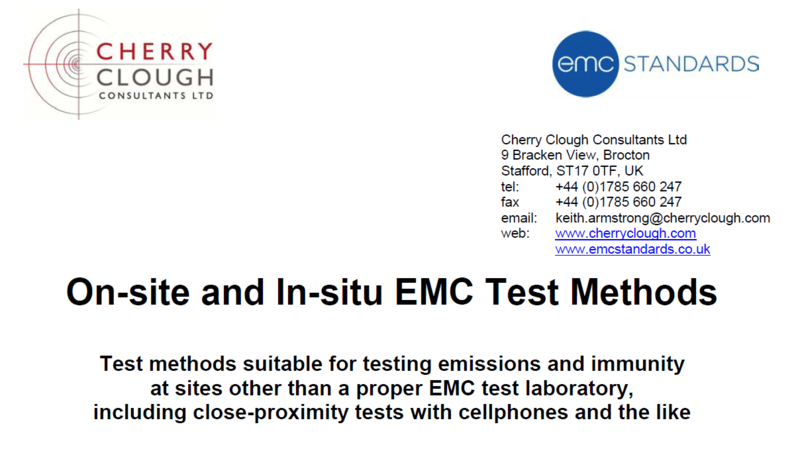 Test methods suitable for testing emissions and immunity at sites other than a proper EMC test laboratory, including close-proximity tests with cellphones and the like. • For pre-compliance or diagnostic testing of equipment that will later be tested at a test laboratory for compliance to the EMC standards listed under the EMC Directive (89/336/EEC or 2004/108/EC). 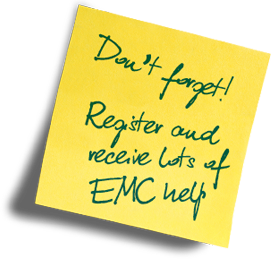 • For generating test results to support an EMC Technical Construction File for compliance to 89/336/EEC, or when submitting a technical file to a Notified Body under 2004/108/EC. 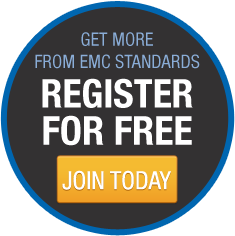 • As part of the acceptance procedure for purchased equipment, systems, or installations. • For diagnosing real-life interference problems (and for determining whether the source or the victim is most to blame). Note: Where equipment or systems need to have high reliability; reliably withstand a variety of environments; or have an impact on legal metrology or safety (including safety-related and safety-critical) – these tests may not be adequate on their own. We can provide assistance on what to test, and how to test, in such situations.